OpinionatedDavid: Take A Bow, Bo. There will be no Adaptive Panels this week, as originally promised. Don’t be alarmed (I’m doing myself a favour and assuming there would be cause for alarm from anyone), the series isn’t canned, it was just too optimistic on my part to gather all the resources I need and write up a new feature on a weekly schedule, as I originally predicted. My dive into The Search will now be coming next week, if everything goes smoothly from here, followed by fortnightly updates for Adaptive Panels from there on out. 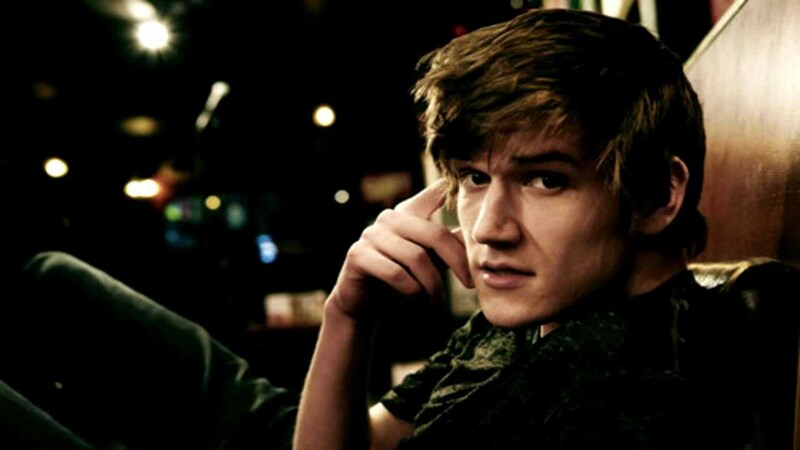 A few weeks ago Make Happy, the latest live show from comedian/performance artist Bo Burnham, was released on Netflix. I’m not going to review it here, because properly dissecting even one song in the hour-long show could take forever, and honestly, I’m not sure I have the words to do it justice. The man is such a multi-faceted talent that trying to pin down any one descriptor for what he does always seems reductive. Short version? He is the greatest performance artist of our generation, and his act may end up being the genesis for a brand of comedy that might, at last, uniquely belong to our generation. Go and see for yourself if you don’t believe me. What I want to talk about here is the prospect of Make Happy being his swansong, something that no-one expects from an artist still in their mid-twenties. Not in this fashion anyway. In an interview with the New York Times, Bo admitted that he was stepping back from public performance and public life to work on writing projects for other people. Now, it’s entirely possible that three years from now he’ll be back on stage again with a sardonic smile, making us all feel like idiots for falling for it, either because that was the plan from the start, or because he changed his mind. The trouble with artists such as Bo is that it’s difficult to tell where the person ends and the persona begins, though I always err on the side of artistic expression coming from a place of emotional honesty. However, there’s no denying Make Happy feels like a farewell, at least for now. A recurring theme the show deals with is his lack of creative fulfilment, and his struggle to balance his need to perform, to impress his audience, with his own mental health. Again, without going into too much detail, I simply don’t know how else to interpret that final song, other than being, well… final. So as a fan, how does that make me feel? Well, I’m tearing up a bit just writing this so that should give you some idea. 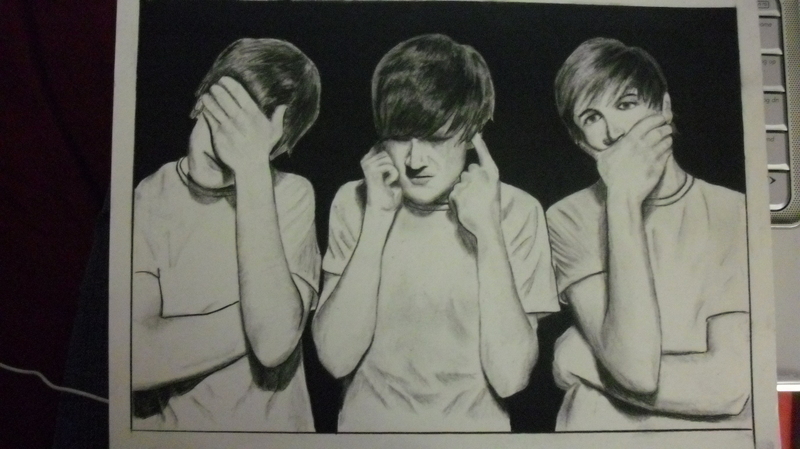 I may be a late bloomer here, I didn’t even discover Bo Burnham until a few years ago, but for me he’s one of those artists that seems to know you better than you know yourself, even though I can picture him rolling his eyes at that. The very last thing his act promotes is sentimentality. We all have one, don’t we? Be they a writer, or a musician, or a comic, or something in between, we all have an artist who speaks to us on a level we didn’t truly understand existed before we discovered them. Let me put it this way… I was an early teen ten years ago, so of course I listened to The Black Parade. Find me a person my age from my culture who says they didn’t, even once, and I will show you a liar. However, I think I only understand now what that album really meant to some of my contemporaries, because now I’ve discovered my own version of it. Bo doesn’t wear his angst on his sleeve. He looks like the sort of person who, if you didn’t know him, you wouldn’t give a second thought to if you passed him in the street. He actually looks quite a bit like me; and then on top of that, he says what I’ve always wanted to say but never known how, through media that I am nowhere near talented enough to utilize. So, only a couple of years after discovering the kind of artist that kids talk about in conversations I never really used to relate to, I’m having to come to terms with the idea that I’ll never get to see him live? That’s infuriating! BUT, I have to soothe the compulsion to anger, because it would be a betrayal to the person behind the art I love to put my desires ahead of his personal needs. Just because Bo gets me, that doesn’t mean I know him. I don’t even know for sure if his struggles are as he portrays them on stage (separating the person from the persona, again). For the sake of argument, let’s assume that they are, would I prefer as a fan that he run himself into the ground, or else continually make himself miserable for my benefit? I’d be a pretty crappy fan if I did. I am 22, Bo is 25, and from that distance I imagine the infamous ’27 club’ for young stars can loom large. Any romance built up around the notion be damned, no talented person should have to suffer for their art, and they definitely shouldn’t have to die young for it. There’s another fear too; the fear of a career that doesn’t know when to end. The fear of becoming a fossil, creatively bankrupt, with nothing new to offer a medium you were once on the cutting edge of. I don’t need to name names. We all know too many artists of all stripes who have stayed far too long past their prime, the worst of which projecting that insecurity through sneering at a younger generation that has taken their place. Bo has been a victim of this himself, dismissed by some older (less popular) comedians as illegitimate because he first gained notoriety through YouTube and Vine, rather than the comedy clubs of their early careers. This may all end up being a moot point in the end, but for now I have to say that, while the prospect of never hearing Bo eviscerate popular culture and personal relationships again; never watching him swing effortlessly from cynical to zany, from guitar to piano to mic, and even to dance, is a sad one, I think he’ll doing the right thing, and for the right reasons, if he does call it a day now. I think he’s choosing knowing when to stop over going supernova. I think he’s choosing to bow out gracefully, at the top of his game, leaving behind the best of what he can do. He’s choosing to be happy. We should all take note. …That was this week’s OpinionatedDavid article!!! Check back on Monday for a brand new BearSleuth Opinion Piece!! !